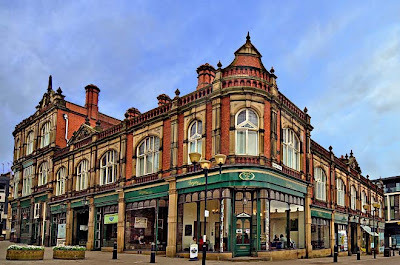 The Association of Town Centre Managers (ACTM) has used the regeneration of Rotherham's High Street to inform the Government on its plans to tackle the housing crisis. The Treasury invites written representations in order to inform spending reviews. ACTM has responded as the membership organisation that provides an influential voice for the town and city management community. The submission focuses on the importance of town centre management in Rotherham and the local authority's role in attracting investment and transforming vacant properties into in-town living, making use of otherwise underused historic, listed buildings and boosting the local economy. The success of the Townscape Heritage Initiative (THI) scheme is highlighted. Here property owners and long term lease holders secure grants enabling them to restore, renovate and repair their historic buildings which are all within a conservation area that radiates from Rotherham Minster. The aim is to encourage new shops, apartments and businesses to locate in the town centre. It is made up of £4.7m investment from Heritage Lottery Funding (HLF), Rotherham Council and the property owners. Ojay McDonald, public policy manager at the ATCM, said: "The challenges presented by the expense of working with listed buildings in a conservation area, which is key to protecting the historic character of Rotherham, has typically hindered investment from both property developers and tenants, especially with the relatively weak property market in the area. "Through its strong town centre management function that co-ordinates involvement from planning, housing, and retail investment functions, the Council understood the need to ensure new residential accommodation was backed by high quality public realm, retail and leisure uses to ensure it provided the kind of environment and facilities that potential new residents would desire. 250 new dwellings have already been delivered with a total of 2,000 new units to be created by 2025." The refurbished Imperial Buildings at the top of the High Street (pictured) is picked out as a case study. The Edwardian, Grade II listed building now hosts an ornate shopping arcade that is a hub for enterprise and niche retailing. Upper floors have been adapted for residential use, delivering new residential units into the town. The new build apartment blocks at Keppel Wharf and Old Market are also highlighted as is the creation of Minister Gardens and the public realm work in Minister Yard. The approach to support innovative retail through grants and initiatives such as the Makers Emporium shows a holistic approach to reviving the town centre. The submission concludes that the Government is right to identify the need to get more housing in those locations close to employment hubs and that "Rotherham's town centre management is a showcase for how it can be done."